Preheat the oven to 200°C (400°F/gas mark 6) and grease 2 x 900ml (1 1/2 pint) loaf tins. Sift the flours, bread soda and salt into a bowl. Make a well in the centre of the dry ingredients and add the buttermilk, brown sugar, melted butter and golden syrup. Using a large spoon, mix gently and quickly until you have achieved a nice dropping consistency. Add a little bit more buttermilk if necessary, until the mixture binds together without being sloppy. 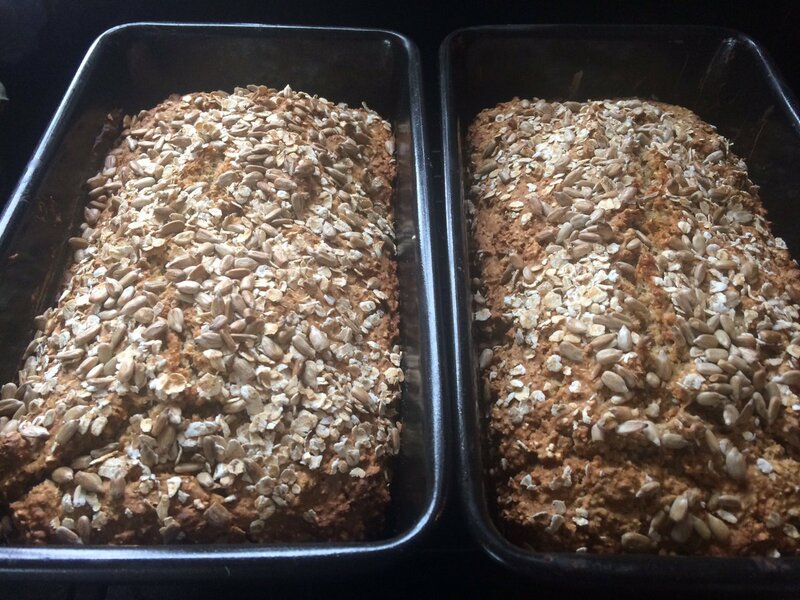 Divide the mixture equally between the prepared loaf tins and sprinkle over the porridge oats. Bake for 1 hour, until cooked through and each one has a slightly cracked crusty top, checking halfway through that the loaves aren’t browning too much. If they are, reduce the temperature or move the loaves down in the oven. To check that the loaves are properly cooked, tip each one out of the tin and tap the base. It should sound hollow. If it doesn’t, return it to the oven for another 5 minutes. Tip out onto a wire rack and leave to cool completely. To serve, place the brown wheaten bread on a breadboard and cut into slices at the table. Hand around with a separate pot of butter for spreading. Neven says: Cook it ahead! The beauty of this bread is that it takes so little time to prepare, but you could have everything weighed out and ready to go beforehand, though it’s hardly necessary. However, it can be frozen very successfully. This recipe and many more are available in Neven Maguire’s The MacNean Restaurant Cookbook, published by Gill & MacMillan Books and available to buy here. Previous PostPrevious Flahavan’s Porridge Three Ways!